Are you craving delicious Italian food? Looking for a great pizzeria, restaurant with a private dining room, or catering services in or near Southwest Ranches? At Tarantella Ristorante, a short drive from Southwest Ranches, we’ve got the Italian cuisine you’re craving. Whether you want pizza, pasta, salad, seafood, or desserts with a real Italian flair, we are known for delicious food, a great environment, and a commitment to helping you leave Tarantella Ristorante satisfied — every time. Come for lunch or dinner any day of the week. We are even open on holidays. We have great specials and a fantastic patio. Need great Italian food for a business meeting or other special event? Our party menu and take-out services can satisfy your cravings for pizza, pasta, and more. Having a baby shower, anniversary or birthday party, or a small wedding reception? At Tarantella Ristorante, we can accommodate up to 70 people with great food and a great atmosphere for your special occasion or party. Talk to us today to book our party room. Whether you want to eat in, get take-out, or have us cater for you, you’ll love dining with us. 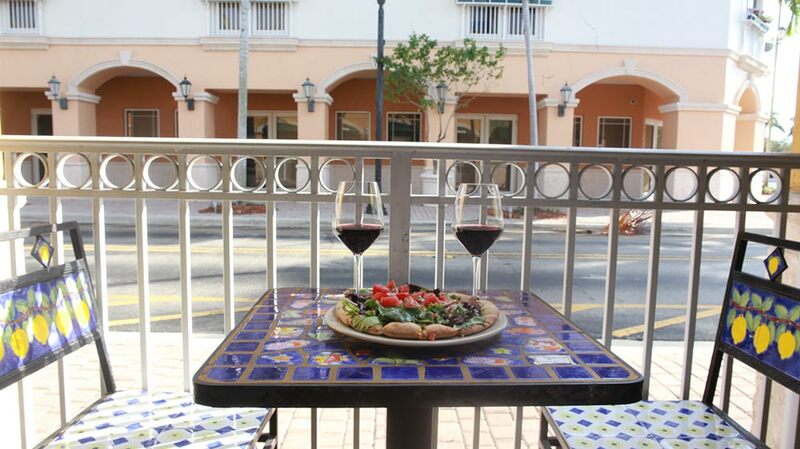 Brick oven pizzeria, mouthwatering breads and desserts, and a team who want you to leave full and satisfied: you can’t go wrong driving from Southwest Ranches to our Weston Italian restaurant. Book a table through our site. We look forward to seeing you!